The general aggression effects that apply to all aggressions. The subsequent aggression effects that apply when Italy or Germany carries out a second aggression after conquering Ethiopia or remilitarizing the Rhineland, respectively. The specific aggression effects listed for each aggression. Diplomacy: The minor country is no longer a valid diplomatic target for the remainder of the game; all flags are removed from the minor country and random diplomatic events drawn for that minor country in future turns are treated as support events (10.41B, 24.11D). Trade pacts: The aggressor obtains a permanent trade pact with the minor country (11.61E) (EXCEPTIONS: Ethiopia, the Rhineland and the Baltic States, which cannot conclude trade pacts). Spy rings: All spy rings are removed from the minor country. 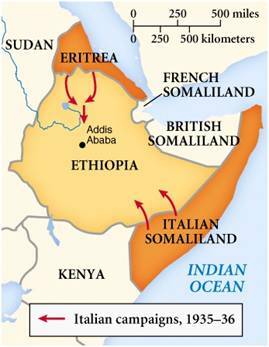 The Italian support level is increased by one for the remainder of the game, starting four turns after the invasion of Ethiopia. 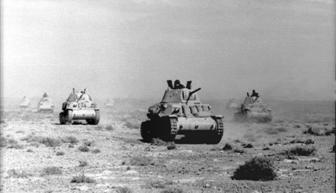 Italy may attempt further aggressions against Albania, Greece and Yugoslavia. Italy adds a 1 activity counter. Italy draws an additional random event in the next turn. Germany adds an idle factory at no cost. 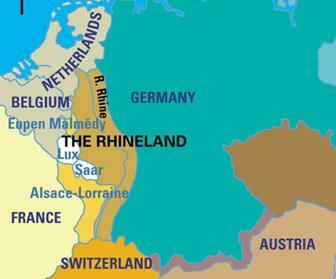 Germany may place a military counter in Belgium/Luxembourg. Germany may place research points in West Wall research. Germany adds a 1 activity counter. Germany draws an additional random event in the next turn. The Great Purge card is added to the Russian purge deck. The British support level is increased by one for the remainder of the game, starting in the turn after the aggression. Britain may make a pre-emptive declaration of war without being fully mobilized (32.61B). The French support level is increased by one for the remainder of the game, starting in the turn after the aggression. France may make a pre-emptive declaration of war without being fully mobilized (32.61B). Austria becomes part of the Reich. Germany immediately adds a military factory at no cost and adds one armor, one infantry and one air unit to its reserves. Germany draws an additional random event in each of the next two turns. The British support level is increased by one for two turns following the Anschluss. Britain adds a 1 activity counter. The French support level is increased by one for two turns following the Anschluss. France adds a 1 activity counter. The European Aggression Index is increased by one for the remainder of the game. The British support level is increased by one in the turn following the annexation of the Sudetenland. The French support level is increased by one in the turn following the annexation of the Sudetenland. The defensive strength of Czechoslovakia is reduced by two. 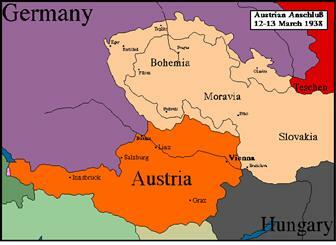 Bohemia and Moravia become a German protectorate; Slovakia becomes a puppet state. All three areas are considered to be part of Germany. The British support level is increased by one for two turns following the occupation of Czechoslovakia. The French support level is increased by one for two turns following the occupation of Czechoslovakia. If the Sudetenland was not incorporated into Germany on a previous turn, the aggression effects for the annexation of the Sudetenland also apply. The British support level is increased by one in the turn following the annexation of Danzig and the Polish Corridor. The French support level is increased by one in the turn following the annexation of Danzig and the Polish Corridor. The defensive strength of Poland is reduced by two. 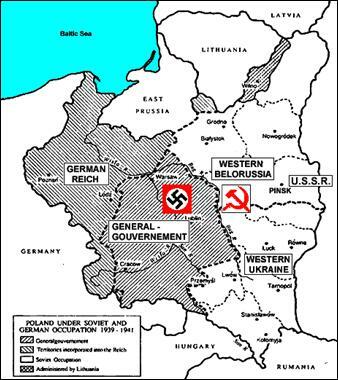 Russia’s purge level is increased by one if the Nazi-Soviet Pact is not signed. Danzig and the Polish Corridor are incorporated into Germany. Germany draws an additional random event in each of the next three turns. The British support level is increased by one for three turns following the occupation of Poland. The French support level is increased by one for three turns following the occupation of Poland. Russia’s support level is increased by two for the remainder of the game. 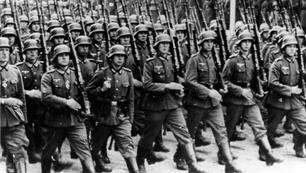 Russia’s purge level is increased by six if the Nazi-Soviet Pact is not signed. If Danzig and the Polish Corridor were not incorporated into Germany on a previous turn, the aggression effects for the annexation of Danzig and the Polish Corridor also apply. The German support level is increased by one for the remainder of the game following the occupation of the Baltic States. The Nazi-Soviet Pact may no longer be negotiated. Russia’s support level is increased by one for the remainder of the game. Russia’s purge level is increased by two. Russia may mobilize its civilian factories, subject to Russian cohesion restrictions. Poland and eastern Europe are partitioned. The anti-Comintern counter is no longer used. Germany may not conduct aggressions against minor countries containing Russian flags. Germany may not declare war on Russia. Italy may not conduct aggressions against minor countries containing Russian flags. Russia's purge level is increased by the Russian Pact concession level (31.51E). Russia’s support level is increased by one for the remainder of the game, in addition to the +2 Russian support increase for Poland. Russian minor country trade pacts reduce, rather than increase, the resistance level of a neighboring aggression target. Russia may not mobilize its civilian factories, even if it has reached full cohesion. Russia may not declare war on Germany. The British support level is increased by +1 for the remainder of the game, starting in the turn after the signing of the Pact (10.71E). Britain draws additional optional random events (9.13). The French support level is increased by +1 for the remainder of the game., starting in the turn after the signing of the Pact (10.81E). France draws additional optional random events (9.13). 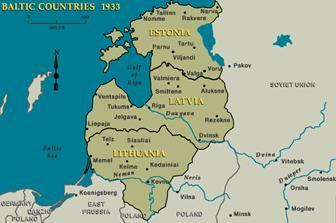 Poland is considered to be under German control. Whatever flags are in Poland remain and may be affected by subsequent random events, but no military or diplomatic counters may be placed in Poland for the remainder of the game. Two Polish infantry units and one Polish air unit are placed on the Russian garrison track, with no maintenance costs. Russia’s purge level is increased by one (Danzig and the Corridor) or seven (all of Poland) (22.31C). The Nazi-Soviet Pact may not be negotiated in a subsequent turn. Ethiopia, Rhineland, Albania, Sudetenland, Danzig and the Corridor: 1 random event. Austria, Baltic States, Greece: 2 random events. 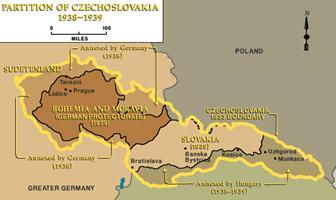 Czechoslovakia (including the Sudetenland), Yugoslavia: 3 random events. Poland (including Danzig and the Corridor): 4 random events. B. Additional random events for successful aggressions are drawn at the rate of one event per turn, starting in the turn after the aggression is completed. Italy starts drawing its additional random events only when it has conquered the aggression target. Italy may attempt aggression against Greece and Yugoslavia. The British support level is increased by one in the turn following the attack on Albania. The French support level is increased by one in the turn following the attack on Albania. Italy adds a 1 activity counter unless it has previously occupied Yugoslavia. Italy draws an additional random event in each of the next two turns. The British support level is increased by one in the turn following the attack on Greece. Britain adds a 1 activity counter unless Italy has previously occupied Yugoslavia. The French support level is increased by one in the turn following the attack on Greece. France adds a 1 activity counter unless Italy has previously occupied Yugoslavia. The European Aggression Index is increased by one for the remainder of the game, starting in the turn in which Greece is attacked. Italy adds a 1 activity counter unless it has previously occupied Greece. Italy draws an additional random event in each of the next three turns. 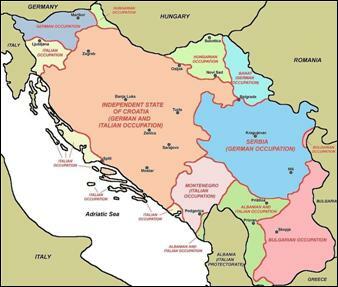 Croatia is established as an Italian puppet state under Italian control. Four Italian flags are placed in Croatia. No military or diplomatic counters may be placed in Croatia for the remainder of the game, although the Italian flags in may be affected by subsequent random events. Italy obtains a permanent trade pact with Croatia for the remainder of the game. The British support level is increased by one in the turn following the attack on Yugoslavia. Britain adds a 1 activity counter unless Italy has previously occupied Greece. The French support level is increased by one in the turn following the attack on Yugoslavia. France adds a 1 activity counter unless Italy has previously occupied Greece. The remainder of Yugoslavia is reconstituted as Serbia. All flags are removed from Serbia and no military or diplomatic counters may be placed in Serbia for the remainder of the game, although flags may be placed and removed in Serbia by subsequent random events. The European Aggression Index is increased by one for the remainder of the game, starting in the turn in which Yugoslavia is attacked.